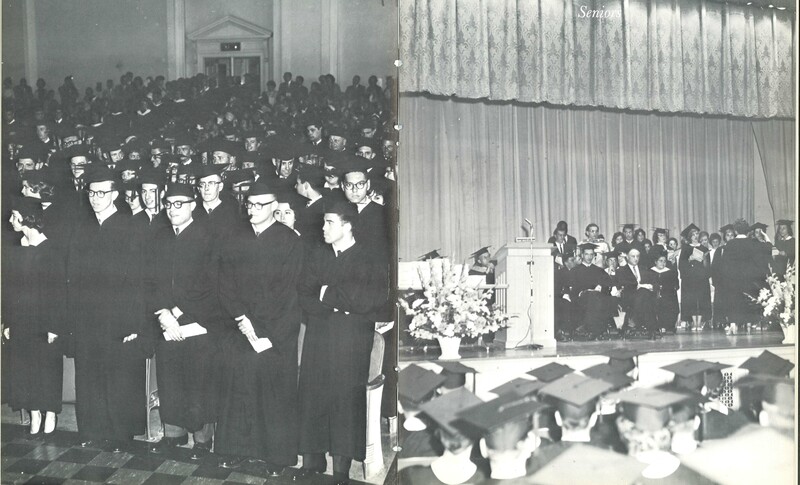 Photo of 1963 Commencement Ceremony. James F. Hall was president. When the student center was lost to a fire, classes were held in local firehouses and even a barn. The Executive Retailing Club took a fieldtrip to the New York district office of the W.T. Grant Co. The Student Senate and International Relations Club create a campus-wide drive for books for needy students in Asia. The fourth edition of The Chronos yearbook was published under the direction of editor Kathie Koss and faculty advisor, Drury Cargill. The forth edition of the school newspaper The Spectator was printed. The Dramatics Club, formerly known as the Masquers Guild, produced two plays "The American Dream" and "The Emperor Jones". A Ski Club is organized by faculty advisor Dr. Richard Peckham. The Blue Falcons basketball team played in the Holiday Tournament at Binghamton, NY, under the coaching of Richard Skimin and Roger Soule. The International Relations Club attended the Model General Assembly in Washington D.C. representing the Mali Republic and toured the United Nations. 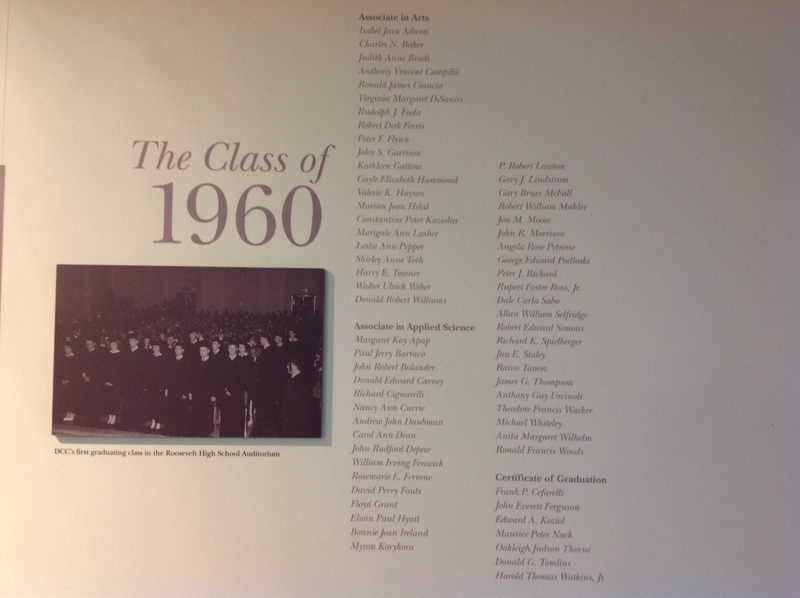 In 1965, The Harpoon, the colleges literary magazine published the creative talents of the students and faculty of DCC. By giving a gift that reflects your class year you will be supporting scholarships, technology and new initiatives to build on a legacy for the future and offer more students the chance to tap into limitless potential. You do not need to login to be able to register for an event or make a donation. Please follow the steps above and pay using Visa, MasterCard, Discover or American Express. A confirmation email/receipt will be sent to you.